Music is something that always soothes our soul. 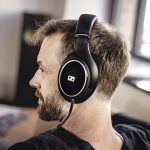 There are many ways you can listen music but headphones especially the wireless headphones have come a long way for this purpose. Wireless Headphones have taken the entertainment level at a different level. These headphones are provide high quality transmission, sound quality, durability and are definitely stylish and trendy. There are hundreds of Wireless Headphones available in the market that provide you some amazing features. If you are spending some good cash, then you will want a headphone that suits all your needs. 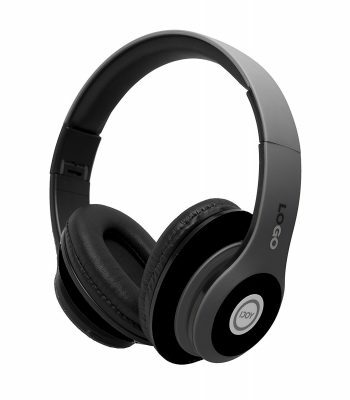 Therefore, choosing a wireless headphone that's best for you becomes a difficult task. So, to make it easy for you, we decided to do a detailed review of some of the popular Wireless Headphones available and underline all the features.These earphones comes with unique features and are pocket-friendly with an amazing combination of style, comfort, audio quality and battery life. ATGOIN Wireless Bluetooth Earphones are the superfit wireless headphones for all your music needs. 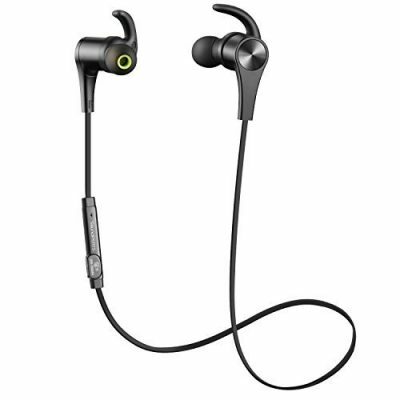 With High Audio Quality and Built-in magnetic design, this headphone is comfortable to wear and entirely fit for Sports, Running, Gyming, Exercising and more. ATGOIN wireless headphones also provide IPV5 water-resistant design that helps you to listen wherever you are in running in the rain or swimming in a pool. This headphone comes with Bluetooth Version 4.1. It takes 1-2 hours to completely charge and provides up to 6 hours of playtime and 220 hours of standby time. Its operating range is up to 33 feet. It is compatible with almost all the cell phones supports two devices connected simultaneously. So you can easily switch between playing music and attending your phone calls. SOUNDPEATS Bluetooth Headphones are another ultimate solution for all your music needs. This headphone comes with a convenient magnetic design and High definition Aptx audio technology that delivers a high-quality sound. 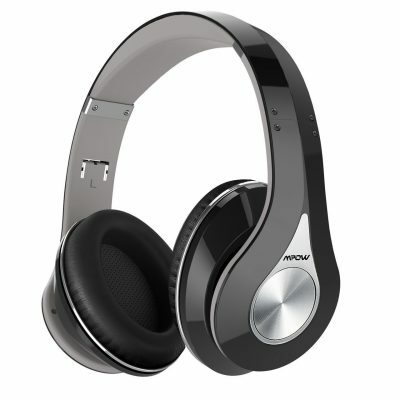 This headphone comes with Bluetooth version 4.1 which supports two devices and allows you to attend your calls quickly. The working time of this headphone is up to 7 hours and its charging time is 1-2 hours. These headphones are lightweight and weigh around 15.0 grams. Aptx audio technology provides a high-quality sound. It comes with built-in magnets where both the earpieces attach to each other like magnets when not in use. The design of these headphones are designed with an oblique angle to fit your ear canal nicely and reduces noise. These headphones also include four pairs of ultra soft ear tips (XS/S/M/L) and 3 pairs of ear fins to give you more comfort. Its in-line microphone and volume buttons enable you to make hands-free calls and easily manage your calls. What's better than a headphone that filters out all the background noise when you are on a busy street. Otium Bluetooth Headphone is one such headphone that provides you best Sweatproof Bluetooth earphones. It's one the best-suited sports earphones. 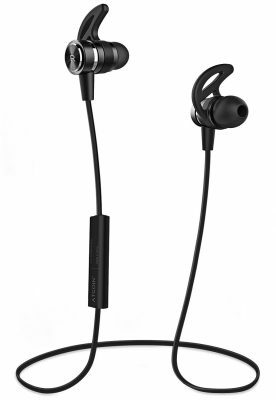 These Bluetooth headphones come with sweatproof earbuds which is great for Running, Jogging, Hiking, Biking, etc. This headphone has version 4.1+EDR for stereo sound and fantastic bass sound. 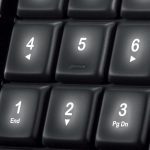 Easy to use buttons lets you skip/play/pause your music easily. Comes with 30ft Bluetooth range in open space and 10ft range in obstacles space. This headphone comes with Longest play time i.e. up to 8 hours continuous playtime and up to 240 hours of standby time. It also comes with a high quality carrying case and cord clip to make it easy to take your headphones. 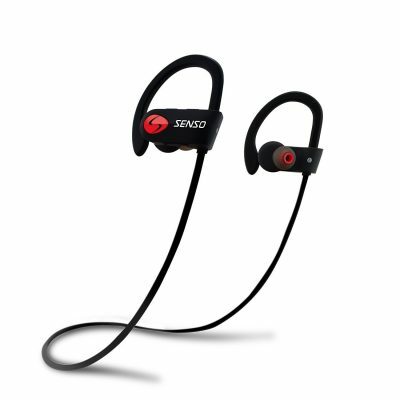 SENSO Bluetooth Headphones is another best choice in the world of headphones. 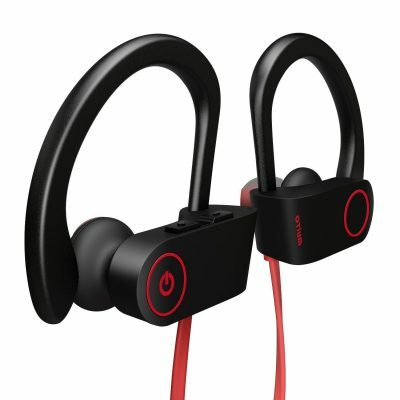 These Wireless Headphones provide a True HD High Fidelity sound with great battery life and sweatproof earbuds to help you work out with the music on. This headphone features latest Bluetooth version 4.1 CSR Technology that produces spectacular sound quality. 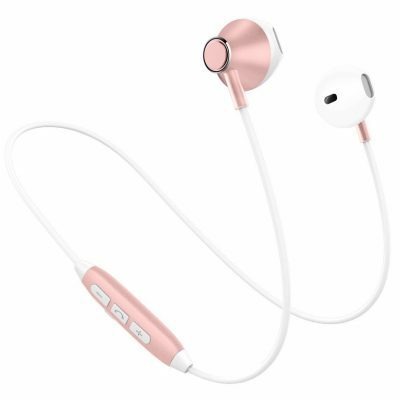 With IPX-7 waterproof rating, these headphones come with flexible ear hooks with gel flex silicone earbuds to male your headphone stay comfortably and firmly. The lithium polymer battery allows up to 8 hours of playtime and 240 hour standby time and can charge in 1.5 hours. Also comes with CVC6.0 noise suppression technology and 30ft Transmission distance, this headphone is a stylish one and fit your requirements. If you are really fond of load music, then these earphones are for you. These are Picun Wireless earphones.They are tangle free and comes with HD built-In Mic. It gives you best company in jogging, running and Gym. These amazing earphones come with brilliant features. Its internal Nano-coating protects you from Sweat in daily use. You can easily stow the earbuds around your neck when not in use.This earphone is secure to carry. Not only this, it is easily controllable for phone call handle, song change, and volume control. Can pair with 2 devices, you will not miss any phones calling and message. Frequency up to 20-20000 Hz, can reach the high pitch and pick up the Deep Bass easily, suitable for most of the music style. It comes with latest decode tech, 10 MM larger drive unit better compression rate, pure CD-like high-quality tone. It gives you no pain for long time using. Suitable for gym, biking and running. These headphones come with the waterproof rank for water splash and sweat, you can run without any pressure. Are you looking for a high-end quality pair of headphones to enjoy your music, movies, and games? ijoy matte finish premium rechargeable earphones are best for you. These earphones give you classy feel as you wear them. It comes with a foldable headset with mic. Deep, accurate bass response,Extended frequency range, Rechargeable. You can plug in the micro SD card in these earphones. ijoy earphones are amazing it comes with all new advances which you cannot get in other headsets. Enjoy the Crystal clear sound.It has Soft memory protein earmuff.Flexible to fit head shapes. Additionally, the snug pad on the inside of the headband provides full protection and impeccable comfort. This headphone comes with an easy to use 5-button control,including play pause/answer/hangup,Equalizer,Next track/volume up, Previous track/volume down. This earphone is made of premium quality materials,headphones are ergonomically designed and perfect for daily use. Now Play your favorite PC games, sit back and enjoy the music tracks you love, or watch the latest popular movies with unparalleled HQ sound quality in the comfort of your home! Moreover, the headphones are flexible enough to fit all head shapes, but not too lose so that they keep falling off – talk about many birds with one stone! Mpow earphones have the excellent listening experience they can give you the best company while jogging, Gyming and running. It has immersive and Hi-fidelity sound. It has a built-in mic with a wired mode for PC/Cell-Phones and TV. These earphones can easily connect with Pc, laptops, TV. The foldable design makes it easy to store them when not in use or during travels. The features prove that this is an ultimate earphone to use. This foldable headset is not only designed for saving your desk space but for carrying in the provided bag. The Memory-protein ear cushion simulates human skin texture, ensuring lasting comfort. Headband allows you to find the perfect fit without constraint and provide excellent durability. So, when you have decided to but these fantastic earphones? 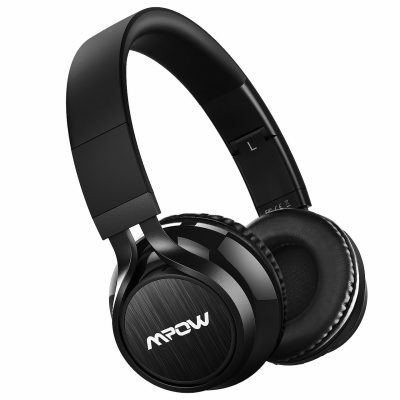 Mpow thor Bluetooth headphones are the best product to use. 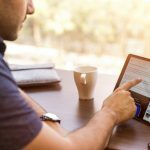 It comes with advanced compatibility they can easily connect with your smartphones, tablets, TV and even other Bluetooth devices. It has more than 8-hr battery life. These ultimate earphones give you better listening experience. The foldable design makes it easy to store them when not in use or during travels. The stainless steel slider headband allows you to find the perfect fit and provide excellent durability. Now you no need to worry about missing calls when you are away from the phone, you can answer or hang up your calls more freely via the buttons on the headphone. To have better Hi-Fi stereo music experience, please try diverse music genres and volume in sound test and make sure the ear cushions seal around your ears. Not only this is a lightweight headphone but also reduces pressure on your head and ears. So, music lovers when you are going to buy these amazing earphones? Try out now as it is the best time for it. Music impacts us in many ways some are fond of listening soft music, and some are loud music. There ae two major types of earphones On-Ear and Over-Ear headphones. Over-Ear headphones offer you the superior noise isolation, and they typically have better audio quality due to their larger audio drivers. On the other hand, on-ear headphones are more compact to wear and easier to pack when traveling.With the help of mentioned earphones, you can easily enjoy your favorite music anytime anywhere. Enjoy the best music with good best with these earphones. These earphones give you HD quality of sound. They are the perfect experience for running and enjoying your music. So, choose the best one for you. Trust me these earphones will never let you down.